Alright, brace yourselves for this one. This is legitimately the best freakin meme I've seen so far this year, and it's definitely not just because this took place at my alma mater. Protestors had taken up residence in the largest library at the University of Washington and were yelling "Who has the power? We've got the power" while all around them their peers were desperately trying to study for their midterms. 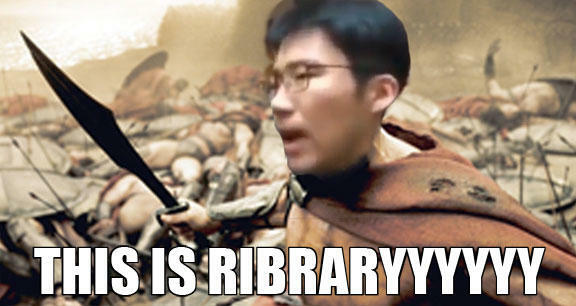 That was until 'Library guy', a brave soul with balls of steel and a soul of pure diamond, shut them down. I think we can all relate to this guy in some way. His strained and exasperated tone speaks for all of us who have sat next to people talking in a movie theater or next to a crying baby on an airplane. In my case, it was some asshat with a megaphone outside the bulding while I was taking a final at the UW who was raising enough hell to wake the dead. Library guy. We salute you. Anyways, as to be expected, this video has exploded into memedom and it's still catching fire, expect to see this one explode in the coming weeks. This meme is a 10/10. 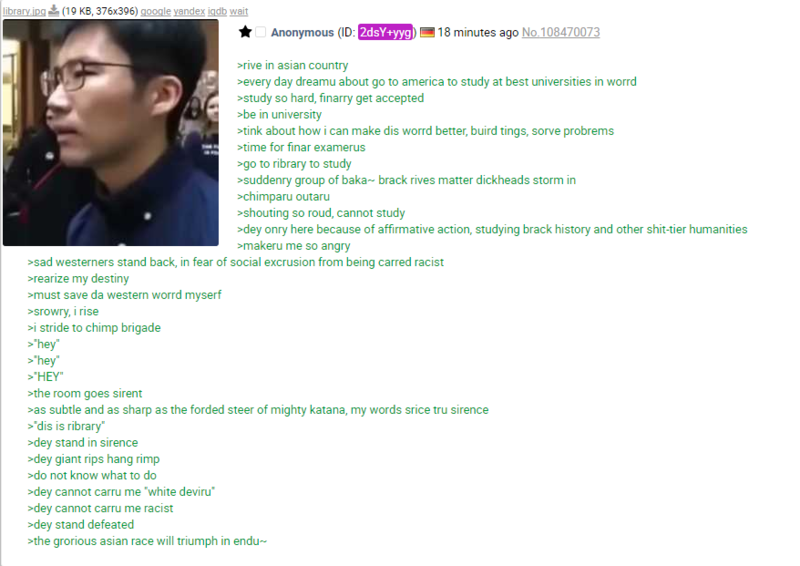 Predictably, a green text version of the events surfaced on 4chan.